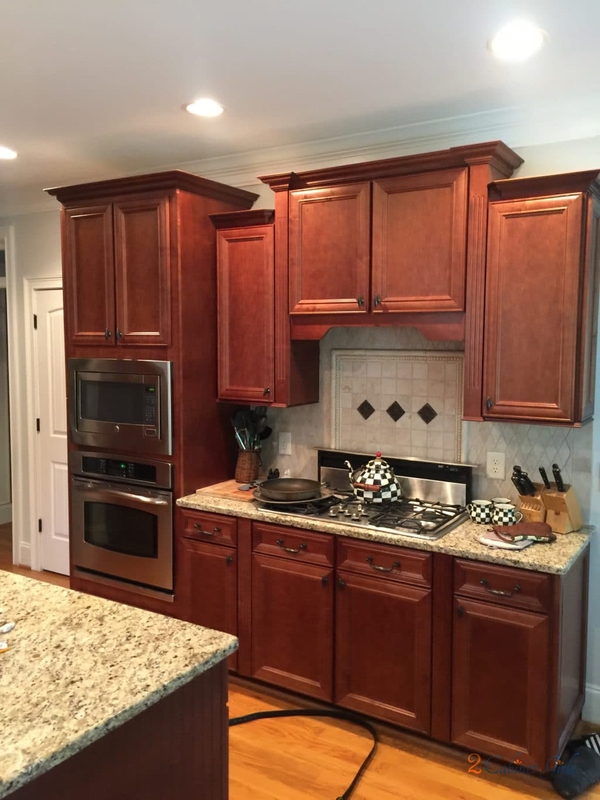 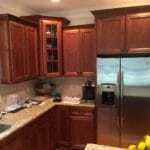 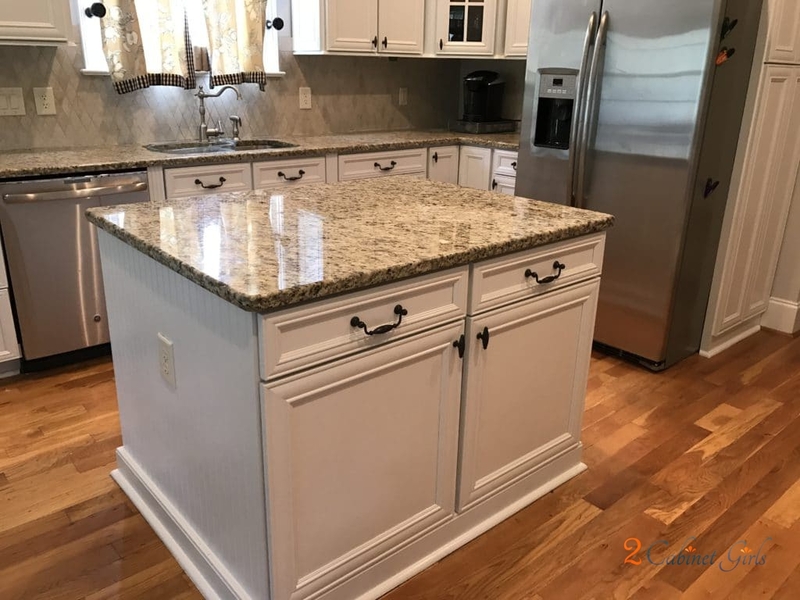 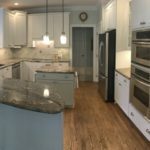 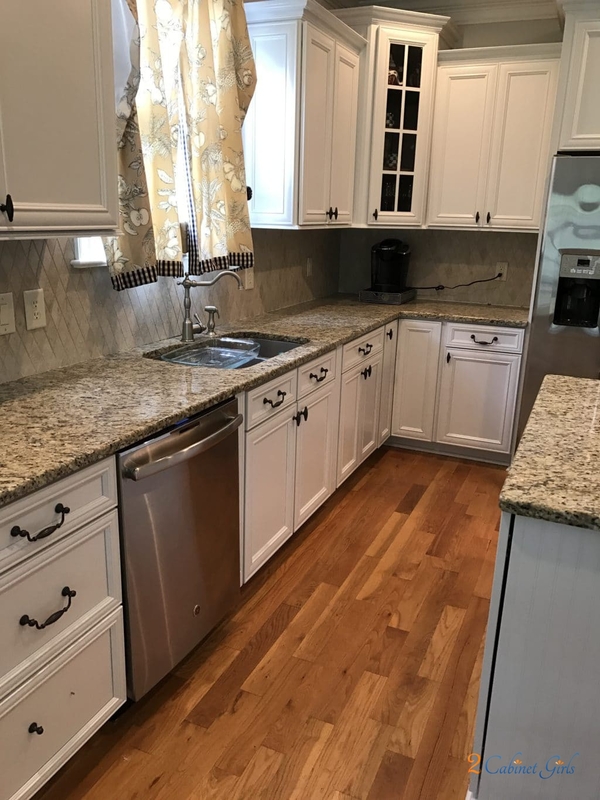 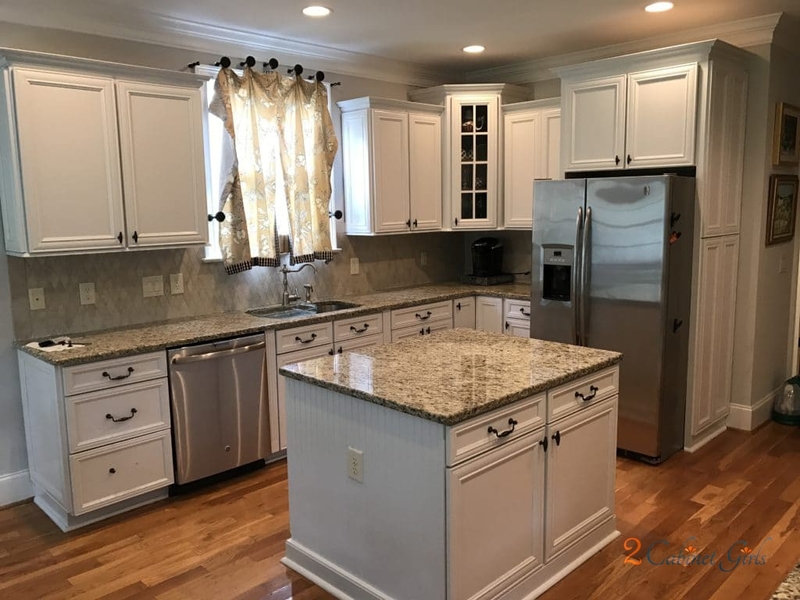 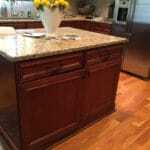 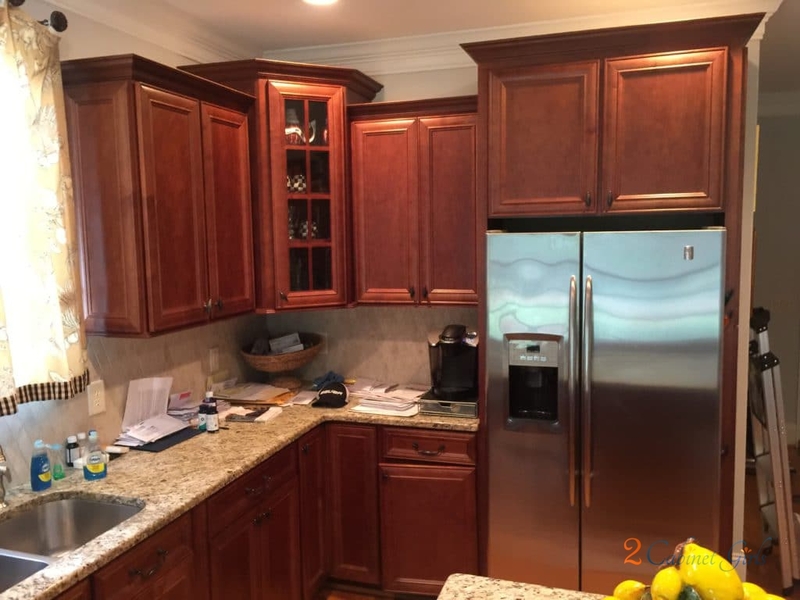 This kitchen is gorgeous but the cherry tone of the wood just wasn’t giving it a modern feeling, and it clashed with both the flooring and the granite. 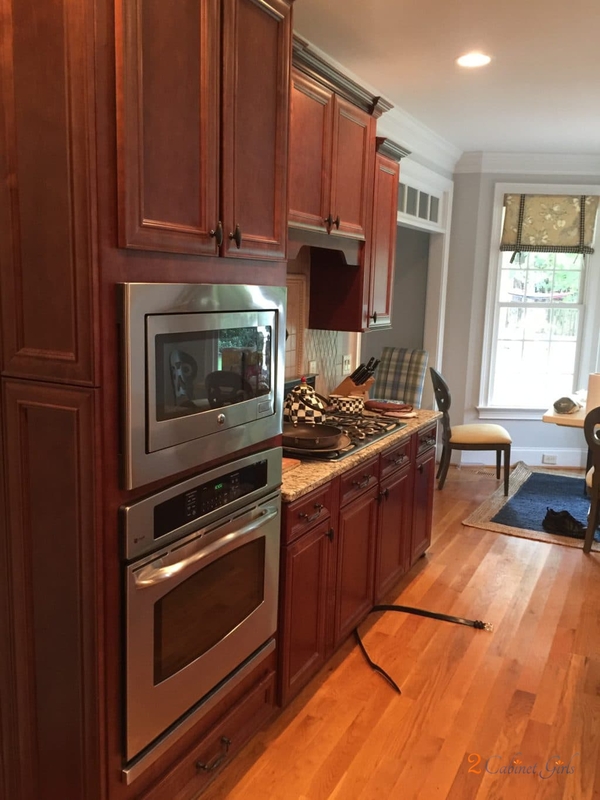 It was doing nothing to help tie everything together. 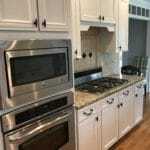 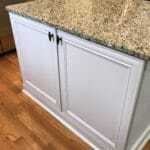 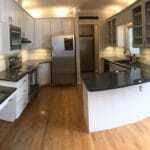 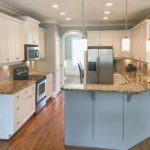 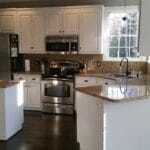 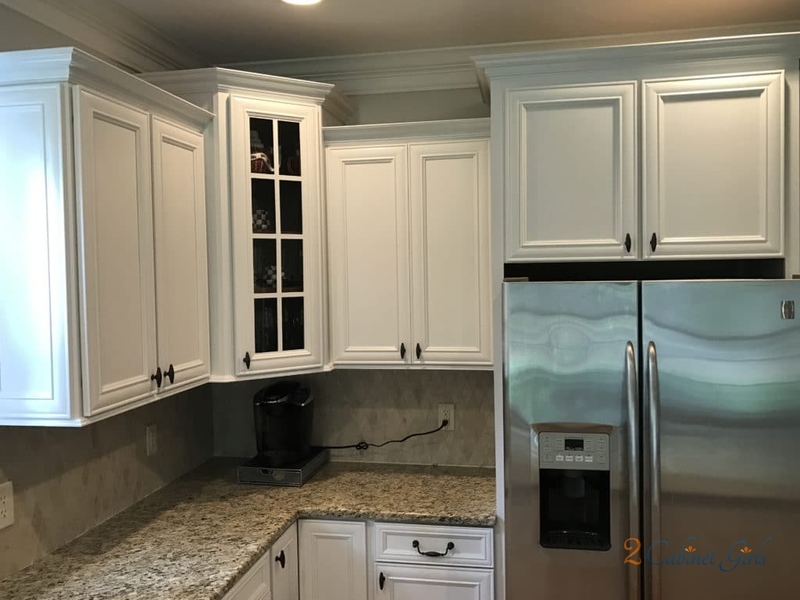 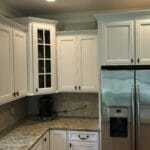 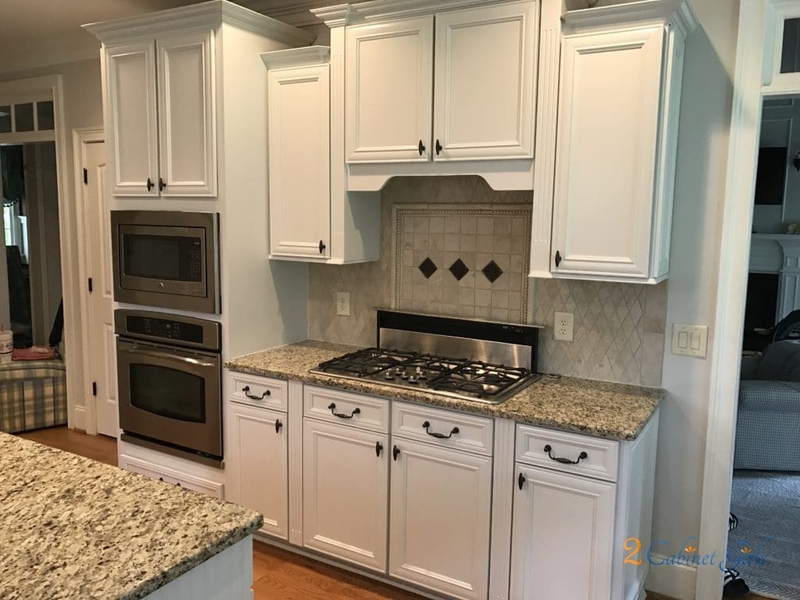 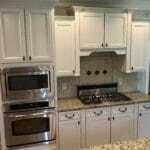 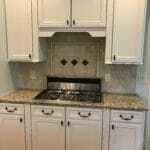 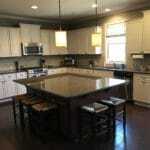 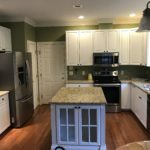 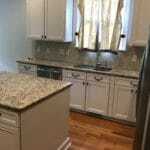 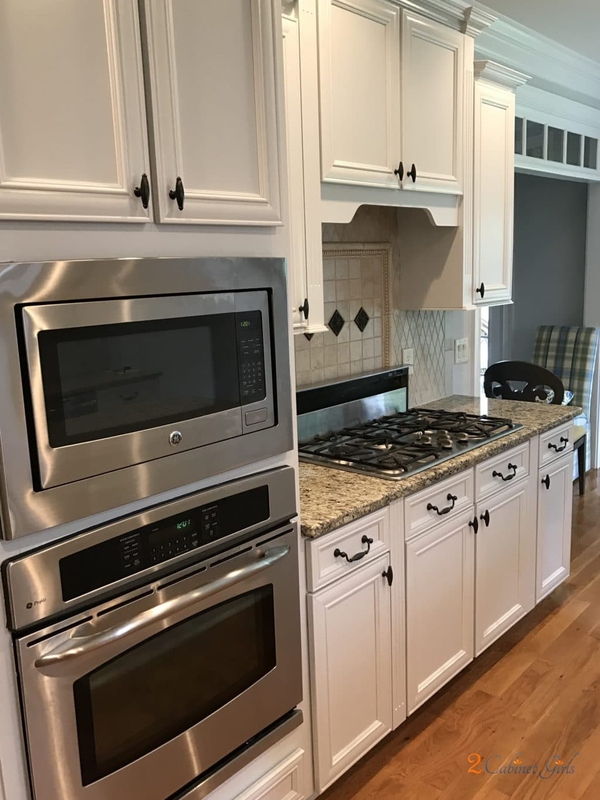 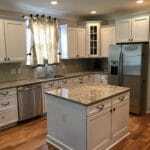 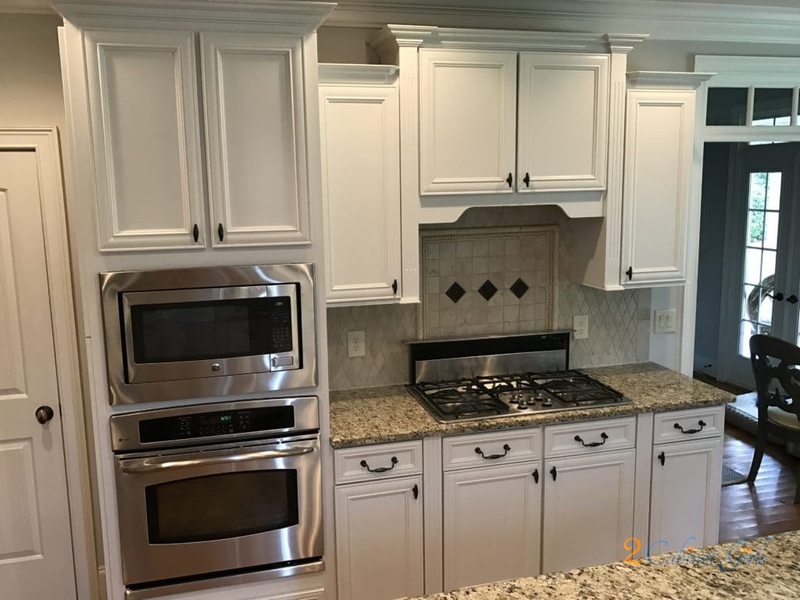 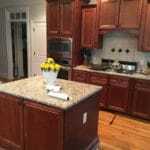 So my homeowner went with Benjamin Moore American White (2112-70) for both the wall cabinets and the island. 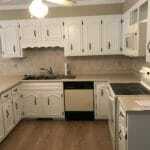 It’s a warm white that has greige (gray & beige) undertones. 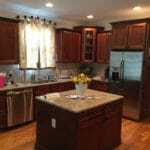 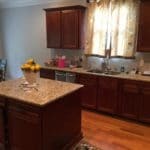 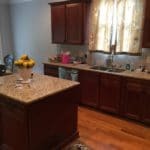 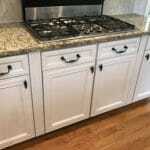 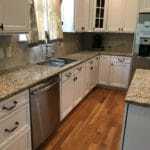 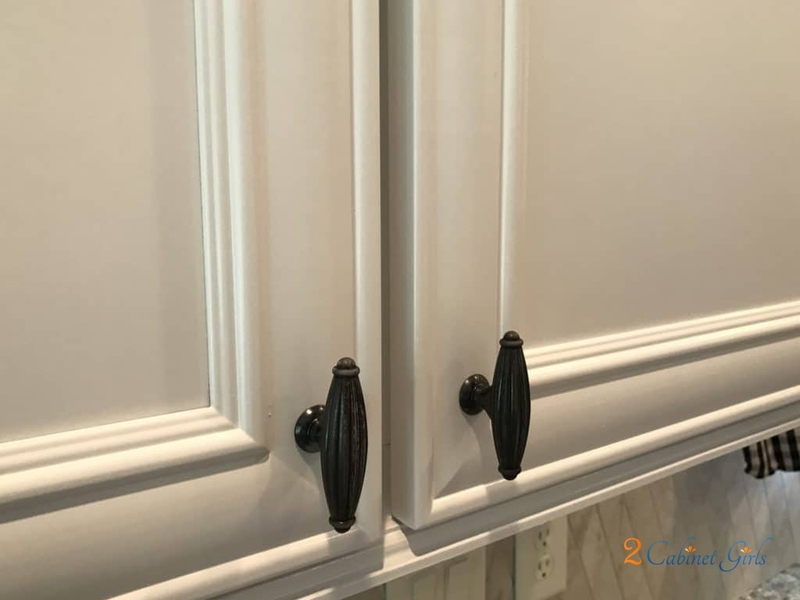 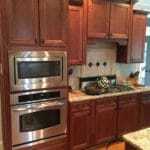 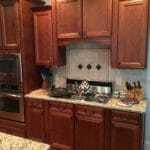 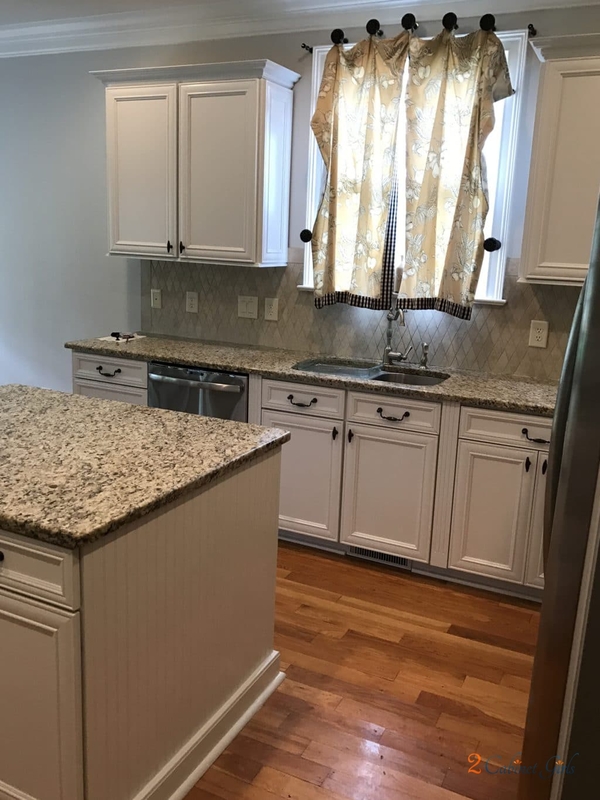 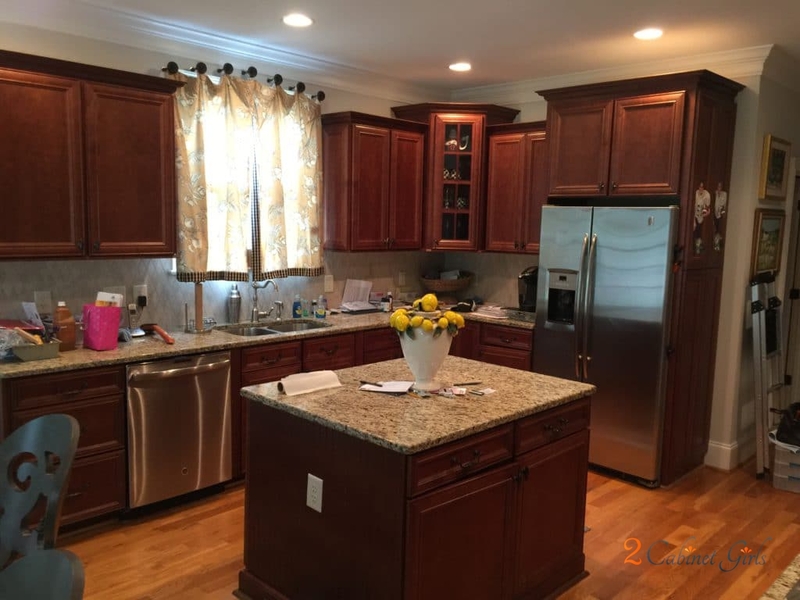 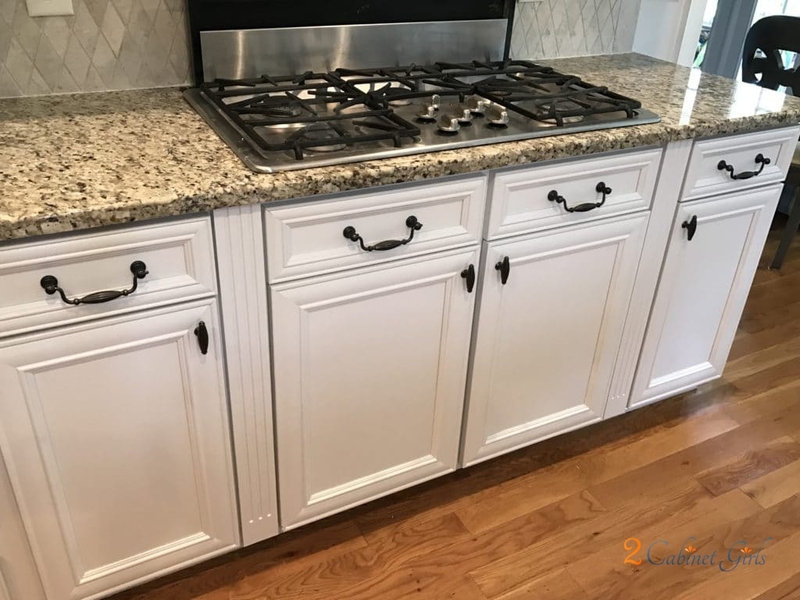 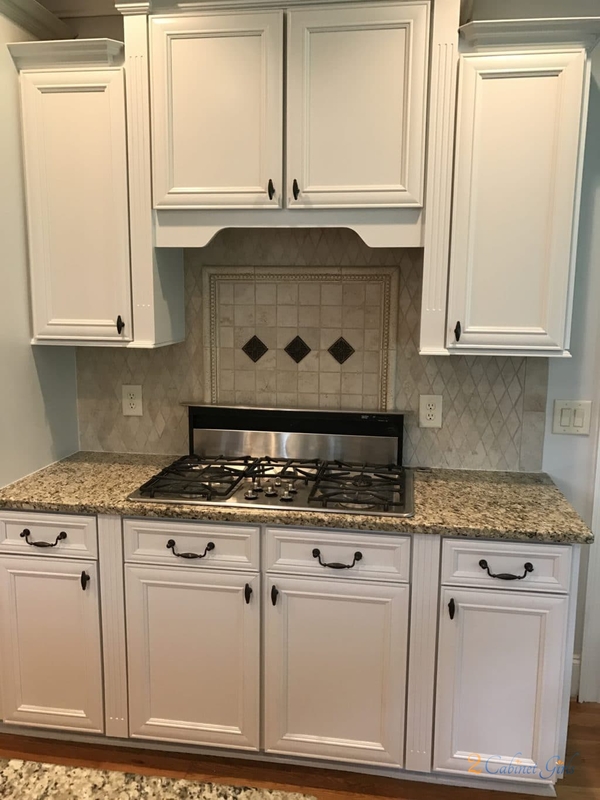 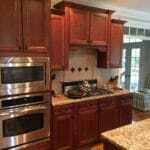 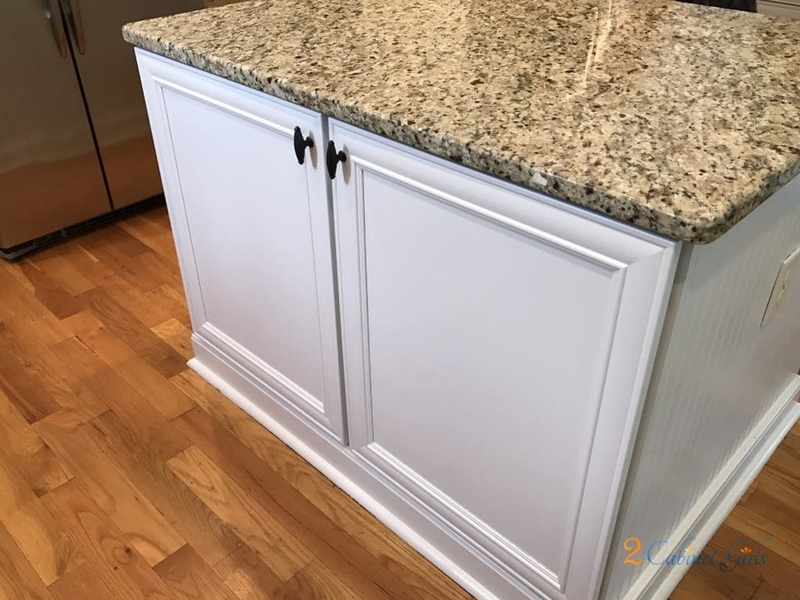 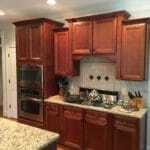 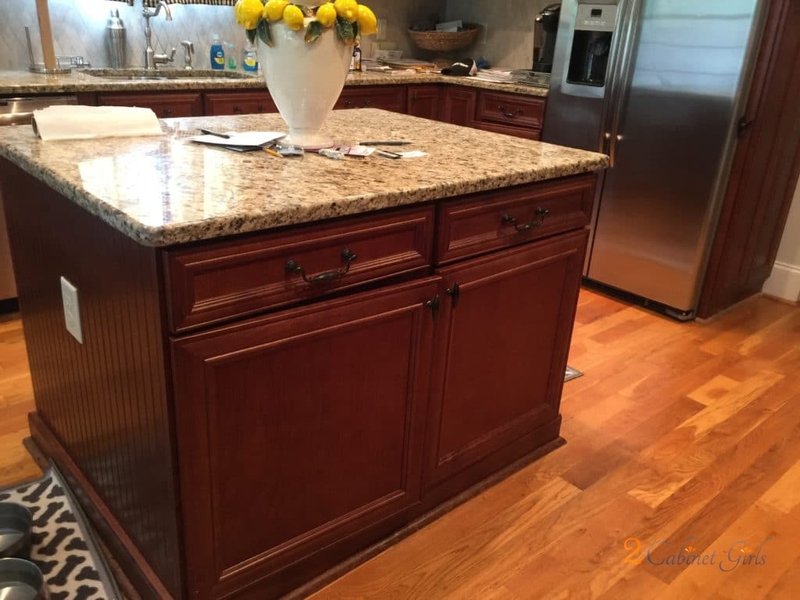 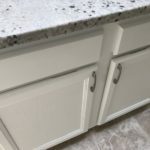 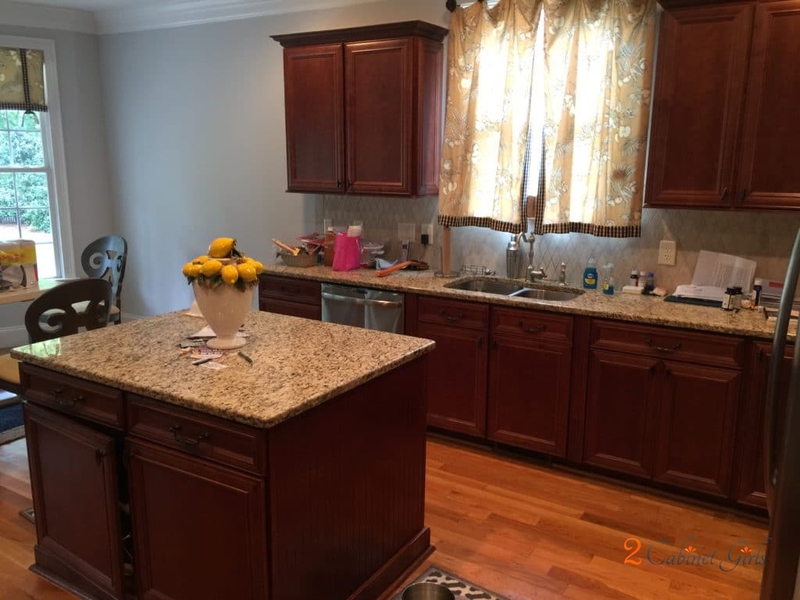 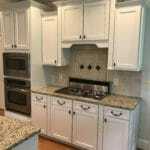 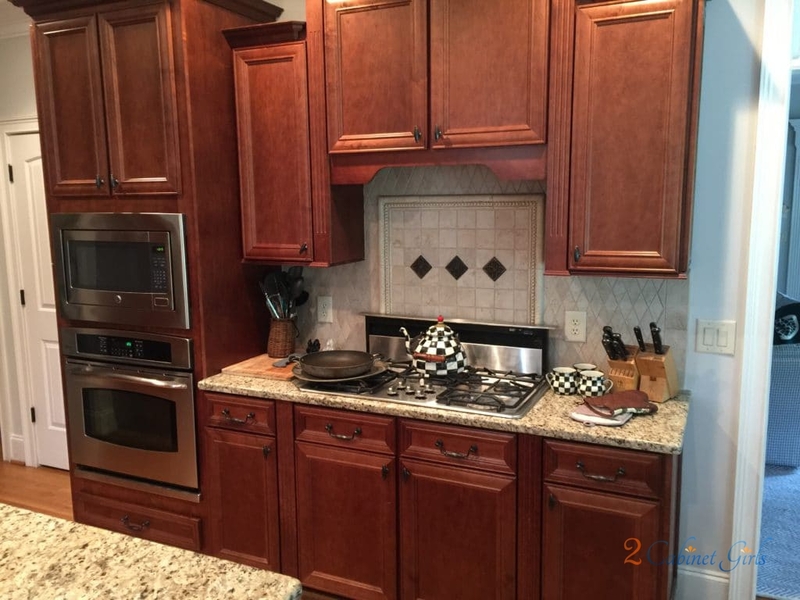 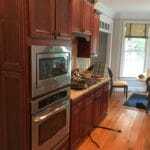 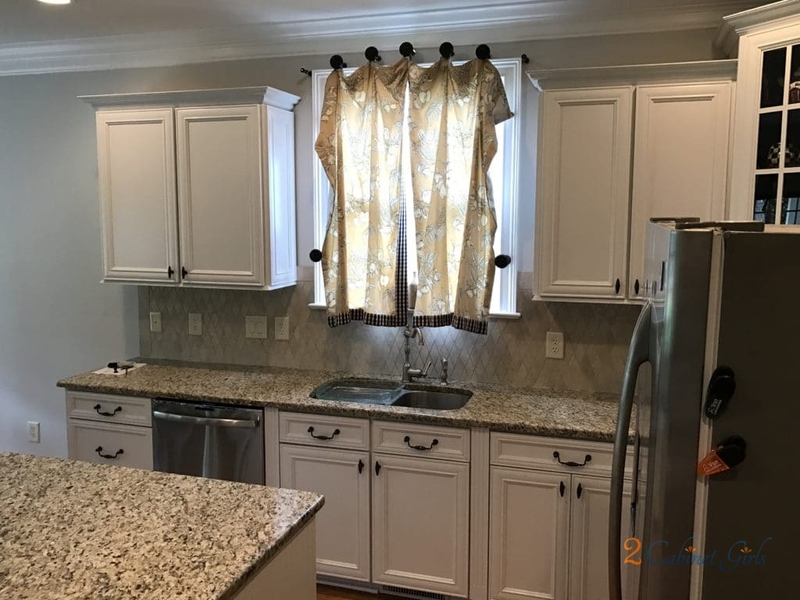 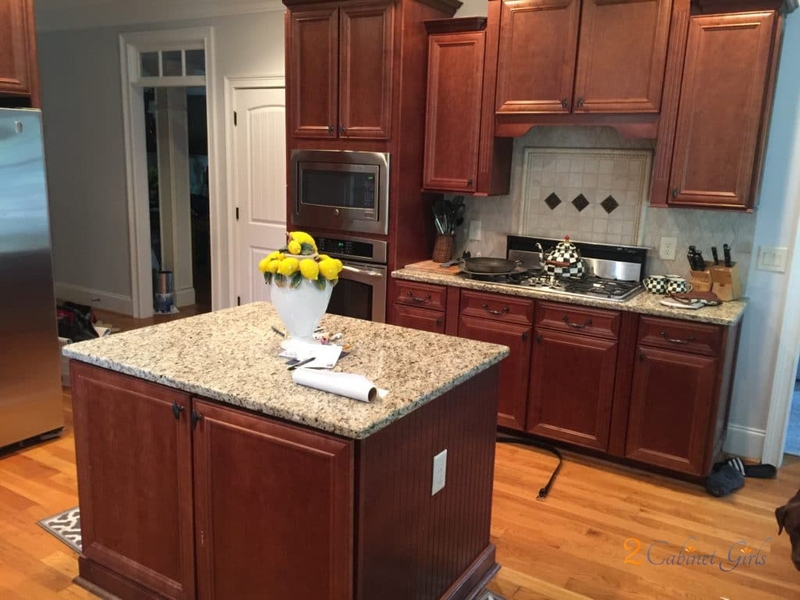 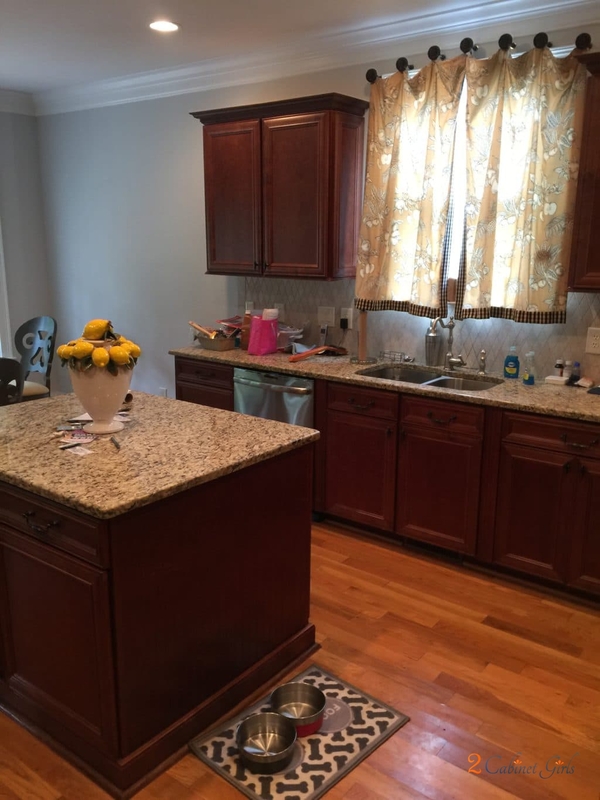 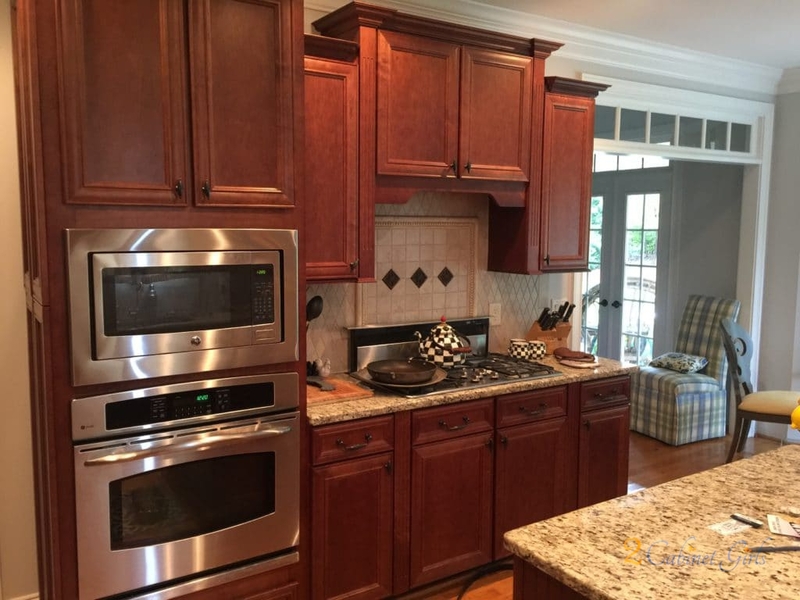 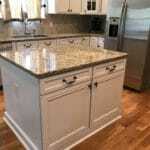 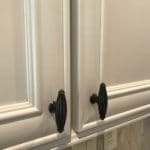 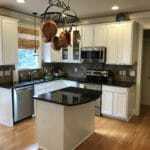 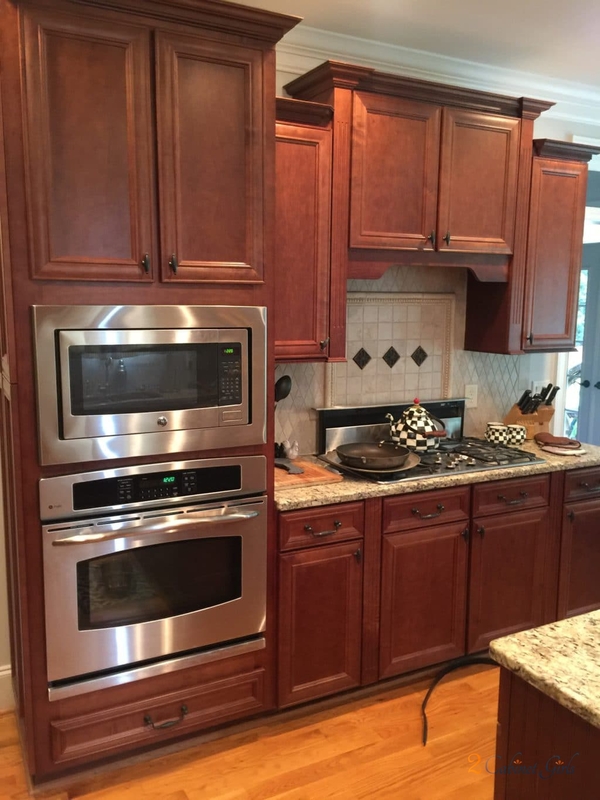 It helps connect the dots between the backsplash, the granite and the wood floors. 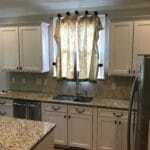 And now the iron pulls really pop!